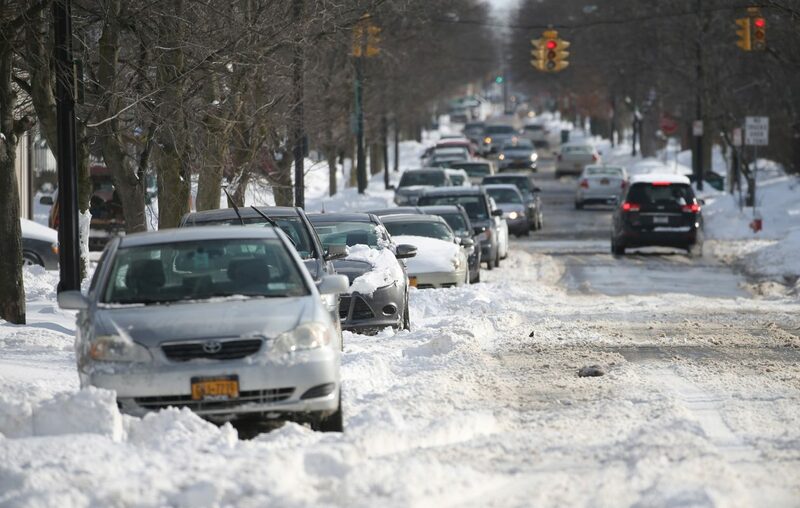 Due to the extreme weather, vehicles blocking fire hydrants, crosswalks, driveways as well as abandoned and illegally parked vehicles will be “mini-towed” as long as there is an available legal parking space within 500 feet, Buffalo officials said. City officials stressed that the cars would be moved, not impounded. The Parking and Traffic Department will use discretion on mini-towing based on whether a street plow could still get by even though a car is illegally parked, said Parking Commissioner Kevin J. Helfer. “In other words, we might just ticket a car instead of a ticket and a mini-tow, depending on the width of the street,” Helfer said. If a motorist’s car is no longer where it was left and believes it was towed because it was an obstruction, call the local police district, said Police Capt. Jeff Rinaldo. Tow truck operators that move the cars notify individual districts as to exactly where those cars were taken, Rinaldo said. There is a $40 fee for each mini-tow, said city spokesman, Michael J. DeGeorge.